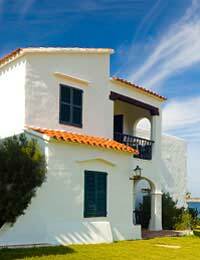 Home > Ask Our Experts > Timeshare - Can I Cancel My Contract? Following a BBC Watchdog programme about ETOO I have tried to cancel a contract with them to sell timeshare. They are saying that under the Distance Selling Act 2000, the seven day cooling off period had expired and that I cannot cancel. However, when I have looked into the Act, it states that: if they did not give written confirmation of prior information i.e. how I can exercise my rights to cancel, then they cannot enforce the contract. Is this correct? They keep avoiding that bit now and keep going on about the cooling off period. In no correspondence that I have received did it mention my right to cancel. Timeshare selling has in the past had a bad reputation due to dubious selling methods. However, consumers do have a number of rights when it comes to cancelling a timeshare contract. There are a number of different rules and regulations regarding cooling off periods and timeshare contracts. A cooling-off period is the amount of time permitted for the buyer to change their mind and cancel the contract. Different countries will have different time limits before the cooling-off period actually expires. If the timeshare contract was signed in the United Kingdom then this cooling off period will be 14 days. If the contract was signed anywhere within the European Economic Area then the cooling-off period will stand at 10 days. No money should actually be exchanged during this cooling-off period. If you cancel a contract before the cooling-off period ends then that should be the end of the matter. All credit agreements that are linked with the timeshare contract should also be cancelled when the contract is cancelled. The Timeshare Directive provides the rules and regulations and the rights of consumers who are buying a timeshare property. This directive was revised in 2007 to include extra rights for the consumer. Included in the directive is the right to information before the contract is signed; this will include cooling-off period information. The timeshare information brochure and the actual contract should stipulate information regarding cooling-off periods. Different countries will have different rules on how this information is included. For instance, in the United Kingdom the cooling-off information should be placed directly next to where the signature of the buyer is set. In Belgium and Luxembourg the information is in bold capitals in a box in the contract. Regulations in France mean that the cooling-off period details are included in a separate form, with copies for the buyer and the seller. If you inform the timeshare seller that you are aware of your rights and they will still not let you cancel, then legal advice should be sought. Under the Timeshare Directive regulations the seller can lose their licence if they are one of the member states included in the Timeshare Directive. There may also be a case for compensation that the buyer can claim. For more information on your rights regarding timeshare properties contact the Trading Standards Office, the Citizens Advice Bureau or the Timeshare Consumers Association.